The final report “Montenegro Media Sector Inquiry” published on 5 April 2018, expressed the urgent need for Montenegrin authorities to guarantee professional rights of journalists. A group of independent experts carried out a detailed analysis of the Montenegrin media sector from August 2017 until January 2018. Representatives from the EFJ’s Montenegrin affiliate, the Trade Union of Media of Montenegro (SMCG) were consulted for the investigation. The report found that the private Montenegrin media had failed to engage with the SMCG about a collective agreement prepared by the national journalist trade union a year ago. The EFJ backs the recommendation addressed to private media in Montenegro to start negotiating the collective agreement with SMCG in order to improve the precarious working conditions of journalists working in the country. It is necessary to strengthen the independence and efficiency of regulation, strengthen self-regulation and the application of professional standards and provide a safe environment for journalists in order to be able to do their job. The need for Montenegrin authorities to take action to ensure a safe environment for journalists was underlined by the recent car bomb attack on Montenegrin journalist Sead Sadiković on 1 April 2018. In line with an analysis of the Law on Electronic Media and the Media Law in Montenegro by SMCG from December 2017, the report recommends the creation of legislative mechanisms in order to ensure editorial independence and legal protection of journalists. 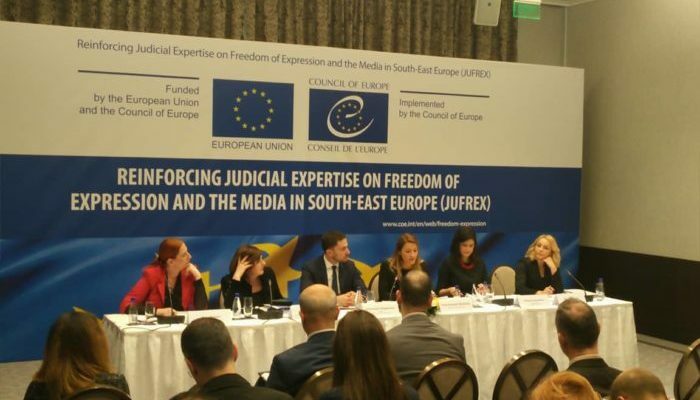 The inquiry was part of the “Reinforcing Judicial Expertise on Freedom of Expression and the Media in South-East Europe” (JUFREX) project, a joint program of the Council of Europe and the European Union (EU). It targets specific needs concerning freedom of expression and media in South-East Europe.